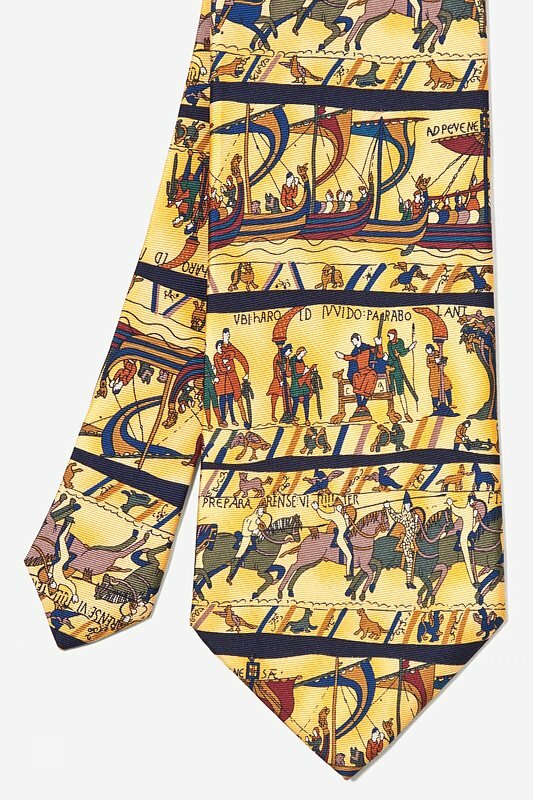 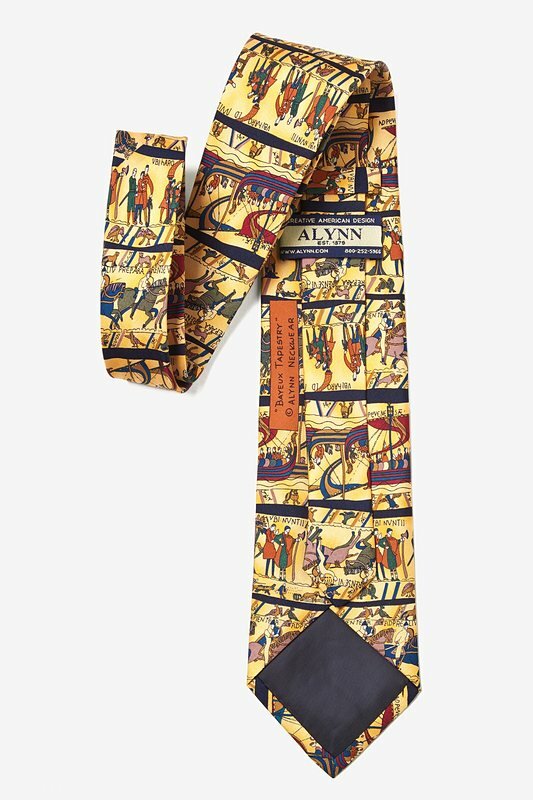 Alynn Neckwear's Bayeux Tie reproduces just a few of the hundreds of historical images memorialized in the original Bayeux Tapestry. 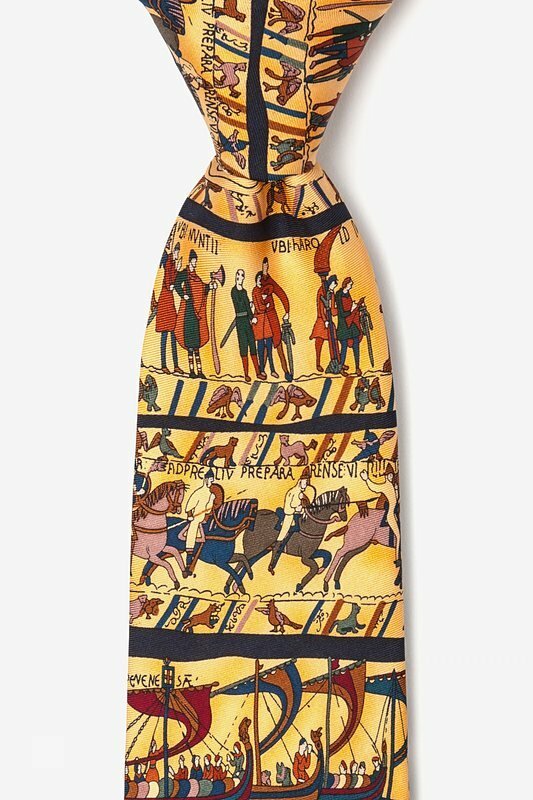 The tapestry is made up of a myr... read more Alynn Neckwear's Bayeux Tie reproduces just a few of the hundreds of historical images memorialized in the original Bayeux Tapestry. 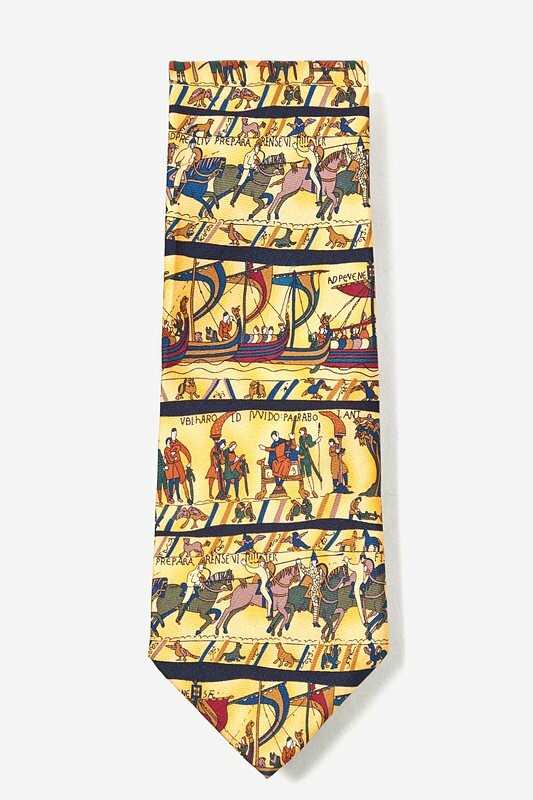 The tapestry is made up of a myriad of images, divided into scenes of a particular event, and then joined in linear sequence that illustrate William the Conqueror's path to becoming King of England. 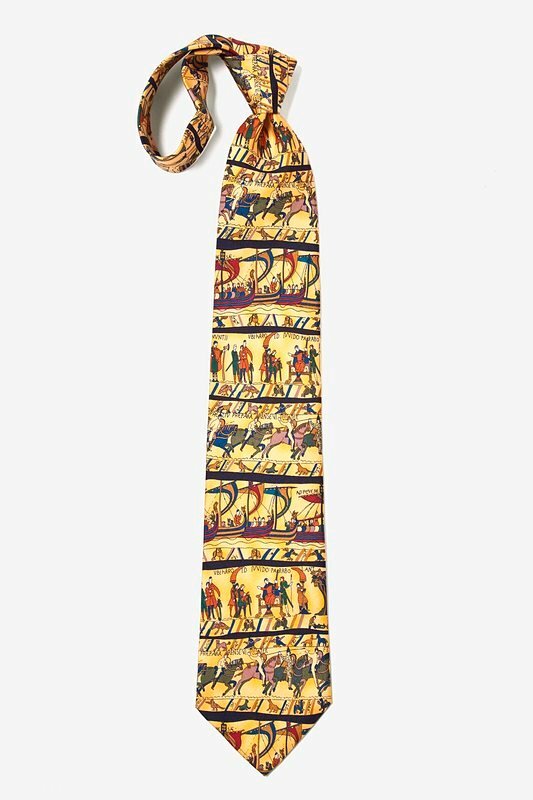 Show those other history buffs that you can hold your own with this yellow necktie, made of 100% silk.